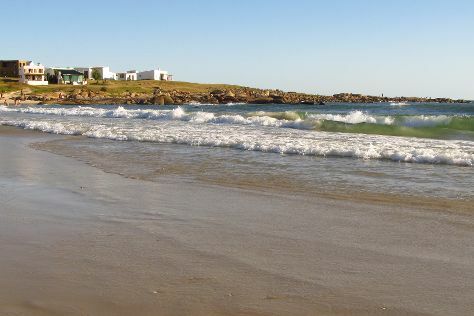 The isolated hamlet of Cabo Polonio, part of Uruguay's remote Rocha province, offers a different take on a South American beach holiday. With limited electricity generated by solar panels and wind, and no running water, the coastal village provides a refuge from the modern way of life. On a vacation in Cabo Polonio, you can rent a small cottage and enjoy tranquil days of lounging on the beach surrounded by sand dunes, swim in the ocean, and hang out with the handful of locals that have made the village their permanent residence. Cabo Polonio is in Rocha Department. Make Cabo Polonio central to your Uruguay travel plans using our Uruguay attractions planning tool .